Can you be too old to be prosecuted for a crime? Every now and then, you hear about an elderly person in court facing criminal charges. It may be for something like shoplifting or negligence while driving. However, even seventy years after World War II, participants in the Holocaust are and have been brought to justice. Consider the case of Oskar Groening who recently confessed during his trial to feeling “moral guilt” for serving as an SS sergeant at Auschwitz. Referred to as the “accountant of Auschwitz,” the 94-year-old, testified that he oversaw the collection of prisoners’ belongings including valuables and cash. Following a 2 1/2 month trial, the court ruled that he was guilty of being an accessory to the murder of 300,000 Jews and sentenced him to four years in prison in July, 2015. “This verdict was critical, because this is the first case brought where the prosecution charged a person who wasn’t involved in the physical side of mass murder,” said the Simon Wiesenthal Center’s head Nazi hunter, Efraim Zuroff. “What you, Mr. Groening, see as moral guilt is exactly what the law sees as accessory to murder,” the judge said. Update: Groening’s attorneys filed an appeal arguing that he deserves a reduced sentence since it took so long to bring his case to trial. He will remain out of prison until his appeals are heard. 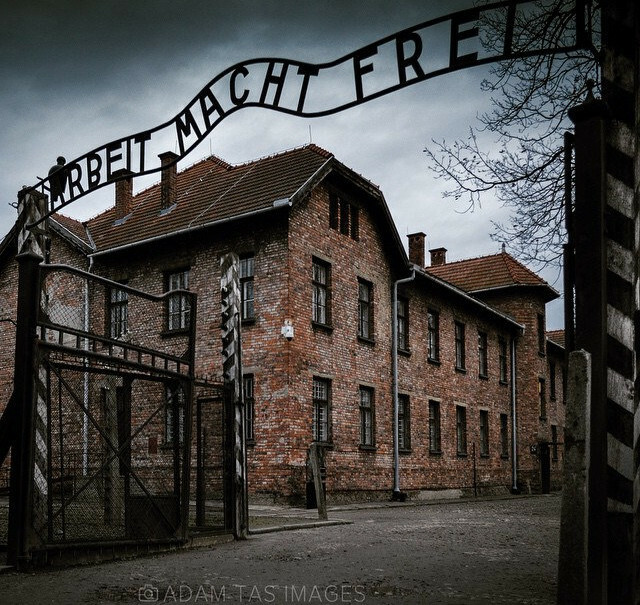 In January, 2016, it was reported that 95-year-old, Hubert Zafke, a medic at Auschwitz, will go on trial in February in Germany for charges of being an accessory to 3,681 murders that occurred in one month at the prison camp in 1944. Dear John: Americans are living longer for a variety of reasons. So, a five-year sentence at age 85, may not necessarily mean a life sentence. The real point is that no one is beyond the law and age is not a defense (unless you’re under the legal age to be prosecuted (age 8 or 10, for example). NO… But , you can be too feeble. Dear Bert: If by “feeble” you mean unable to understand the charges filed against you and unable to help your lawyer in your defense, then you’re right. One must be legally competent to proceed to trial in a criminal case. Thanks for writing.